We take a look at an article published by Statistics South Africa regarding the two main drivers of South Africa's inflation rate in February 2019, which were medical aid costs and transport costs. 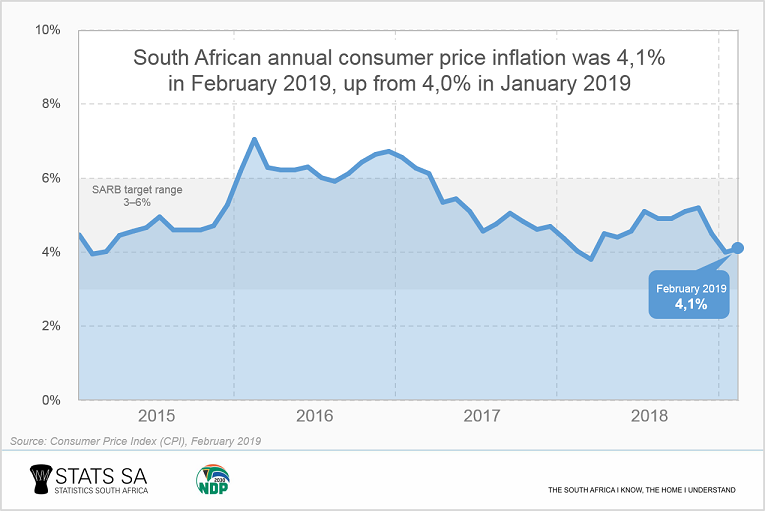 Consumer inflation edged up slightly from 4,0% in January 2019 to 4,1% in February 2019, remaining firmly within the South African Reserve Bank (SARB) inflation target range of 3%–6%. Notable drivers behind the rise were medical insurance and transport costs. Stats SA surveys health insurance fees in February of each year. On average, medical-aid schemes increased their tariffs by 8,3%, slightly higher than the 8,0% average recorded in 2018. Overall health costs, on the other hand, climbed by 4,3% year-on-year in February 2019. Medical practitioners raised their fees by 5,7% on average, with doctors reporting the highest increase (5,8%), followed by dentists (5,5%) and hospitals (4,5%). 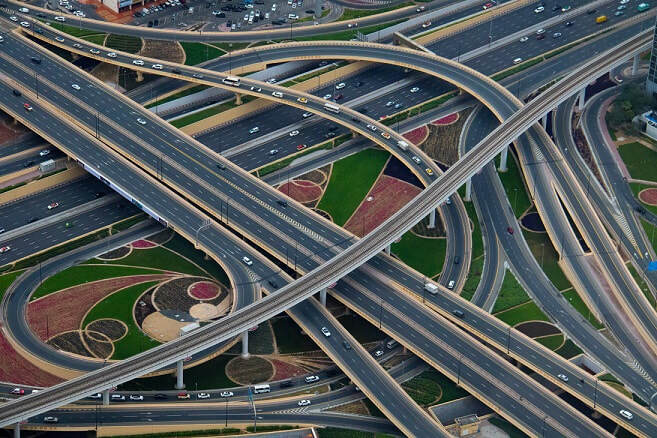 Transport prices climbed by 0,4% month-on-month, underpinned by increases in the price of fuel (0,3%) car rental (7,3%) and tyres (0,8%). For those planning to buy a car, vehicle prices are 3,5% higher than they were a year ago. Annual inflation for food and non-alcoholic beverages softened in February 2019, falling to 2,9% from 3,0% in January 2019. Bread and cereal prices continued to climb, however, registering an annual rise of 4,9%. This is in stark contrast to a year ago, when the annual rate for bread and cereals stood at -5,1%. Month-on-month price increases were recorded for fruit (4,5%), bread and cereals (1,8%), cold beverages (0,9%), other food (0,8%), fish (0,6%) and sugar, sweets and desserts (0,6%). There was some good news, however. Month-on-month decreases were recorded for meat (-1,5%), hot beverages (-0,9%), vegetables (-0,5%) and oils and fats (-0,1%).